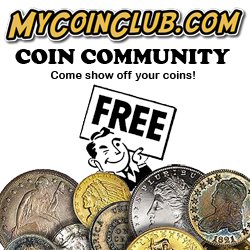 TUESDAY'S NEW COINS HAVE ARRIVED! 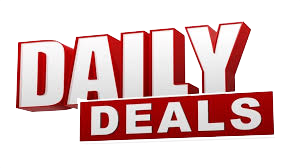 UPDATED ON 04/23/2019 NEW DEALS EVERY DAY! Lovely golden/gray toned luster with touches of colorful toning around parts of the peripheries. The 2x2 variety of this commemorative has an extremely low mintage of just 6,006 pieces! Lovely surfaces void of any porosity or corrosion with rich, deep brown color. Sharp detail and no problems on this scarce variety! A pleasing, original coin with even, deeper gray toning and full wing feathers. Reverse has two rim nicks that are not noted on the holder. A scarce semi-key date to the series in a nice collector grade! Breathtaking gold toned luster with a touch of beautiful ice blue around the reverse rim. Gorgeous eye appeal on this high grade, better date Morgan! Greysheet is $1,000 in MS66! "VF Detail - Environmental Damage" Even darker brown color with sharp VF detail. The surfaces show very light, even porosity, though there is no corrosion and coin has nice eye appeal. Greysheet is $800 in VF20! Very original with even, darker gray toning. There is an obverse edge bruise, along with a few pinpoint nicks on the cheek and a bag scratch near the rim. Reverse has a few darker pinpoint specks and a couple of rim ticks. One of the rarest Carson City Morgan Dollars! Beautiful white luster with a touch of attractive gold toning around part of the rim on both sides. A nice example for the grade with clear full split bands. A very scarce date with full split bands! "VF Detail - Repaired" A lovely example with VERY high end VF detail. Coin is a handsome, deep golden grey color. Looks problem free, though with magnification there are some very faint, old scratches in the right obverse field. There appears to be a little area that has been burnished in the field left of the date, though it blends very well with the color of the coin. With the exception of the eagle's head and neck which has the typical weak strike, this beauty looks nearly XF and has a problem free appearance, though priced at a big discount! Though noted as "Small Eagle" on the holder, this is actually the Large Eagle variety. One of the lowest mintage Morgan Dollars with only 330,000 pieces produced. This beautiful specimen is a DMPL (Deep Mirror Proof-Like), which is a result of early strikes of heavily polished dies. Surfaces show eye-catching mirrored fields with a touch of slightly hazy, creamy gold toning visible on both sides. The devices have some cameo contrast, particularly on the reverse. A very scarce date as-is, and much scarcer being a DMPL! "VF20 Details - Heavily Corroded S-266" Medium brown color with a full date, bold Liberty and ample hair detail visible. Coin has corrosion in the form of heavier porosity on both sides with some pitting in the right obverse field, and along the reverse rim area which makes the mottos slightly weak in parts. Otherwise, all detail is clear. This is very rare, low mintage Large Cent with only 96,500. We have only offered a handful of examples throughout our 40+ years in business! Greysheet is $7,500 in VF, and problem free specimens sell for around $8,500! A much more affordable example of this rarity with lots of detail! Beautiful golden gray luster with nice eye appeal and minimal marks for the grade. A lovely example of this legendary key date and one that we rarely able to offer in mintstate condition! Gorgeous luster with light gold toning and nearly mark free surfaces! A scarce coin in mint state and especially rare in this high grade! A very scarce date with lovely deeper golden gray toning and a sharp Liberty. A very tough coin to find, particularly in F12 and above! Gorgeous full white luster with an impressive clean cheek and very few marks. A lovely, high grade example of this Carson City Morgan Dollar! Gorgeous white luster with some very faint traces of the lightest gold toning in the obverse fields when examined closely. This beauty is fully struck with hardly a bag mark to be found! A common coin in a very uncommon grade! Fully toned in beautiful shades of sunset gold, lilac and plum toning on both sides. A sharply struck Gem specimen with exceptional eye appeal! Gorgeous frosty white luster with a very clean cheek. There is a little toning streak in the left obverse field mentioned for accuracy. Sells for over $700 in MS66!